Hand forged sterling silver bowl and spoon with a turned maple top. Sterling silver and walnut. 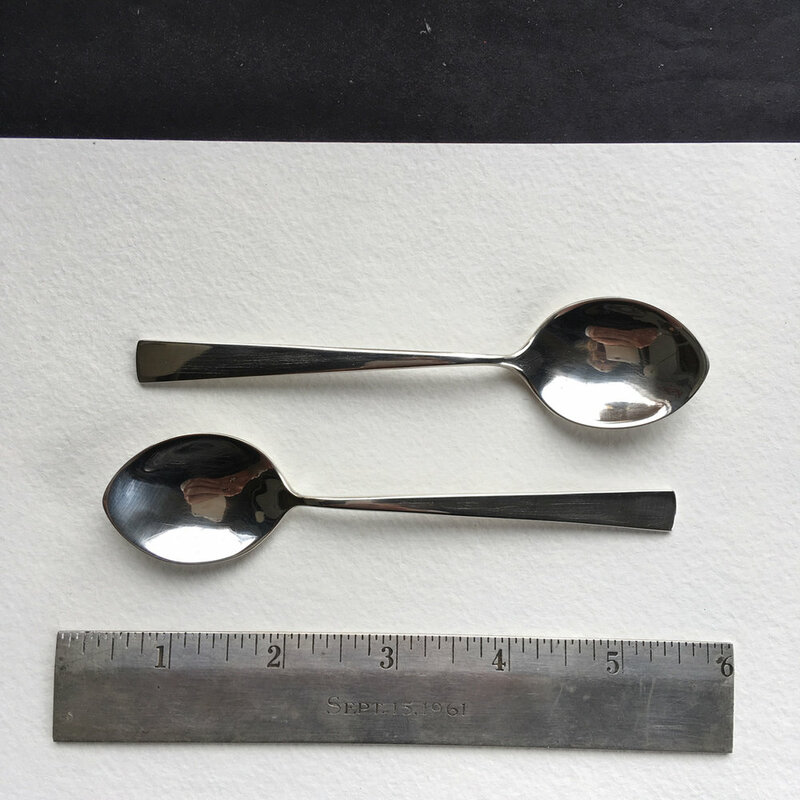 Each spoon slightly different.